Jainism is a display font created by DBD inspired by the colors and religions of India, and the result of hours of writing and rewriting a single word. It has uppercase letters and numbers. 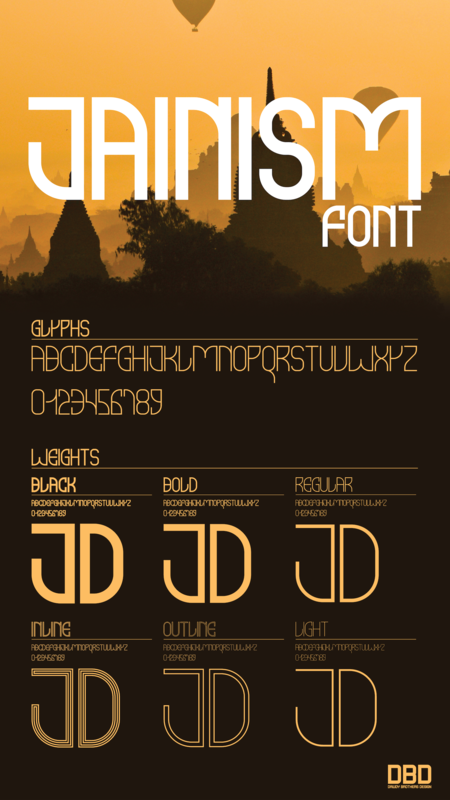 Featuring five weights/styles Jainism is meant to be a unique display font. Jainism Regular can be downloaded for free. Desktop Fonts (OTF and TTF). Web Fonts (WOFF, WOFF2 and EOT). The font can be used in personal and commercial work.